There is still time to register for Maintenancefest at the Walkerton Clean Water Centre. Four new hands-on modules are featured this year. Participants will choose 6 of 11 modules and will earn a total of 1.2 CEUs. This popular hands-on training event sells out every year. Don’t miss out! 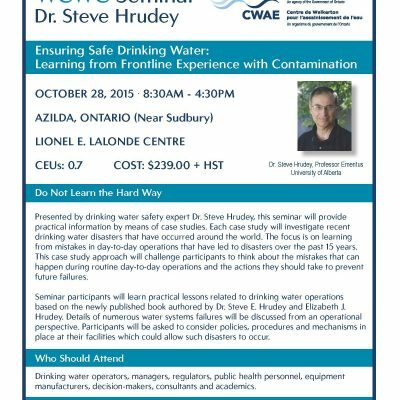 Register now for Dr Steve Hrudey Seminar!